Early this year, Dropbox released its cloud storage service on Windows phones and tablets, and on Tuesday the company followed up with a universal app that fleshes out the features for both types of devices. The update automatically adapts to the user's screen size and delivers a number of new features, including the ability for Windows Phone users to upload videos directly from their devices. In the interests of multitasking, Windows Phone users can also now upload multiple files at once. And they can download files straight to their device or SD card, making it available for offline access; there's a way to mark files as favorites for offline use as well. The new update also brings the ability to save and open files to and from Dropbox while working within other apps. On Windows tablets, Dropbox users can now invite new members to a shared folder from their contacts list and manage folder settings from their device. New keyboard shortcuts for selecting and searching enable a faster workflow. Now available free for Windows 8.1 and Windows Phone 8.0 or 8.1, the software promises better performance as well, according to Dropbox. Separately Tuesday, Dropbox rolled out new features for its main service that target designers and others who work frequently with images. Specifically, it debuted a new image viewer for better online previews as well as better support for Photoshop, Illustrator and scalable vector graphic files. Users can now also preview PostScript images in their browser rather than having to download them first. 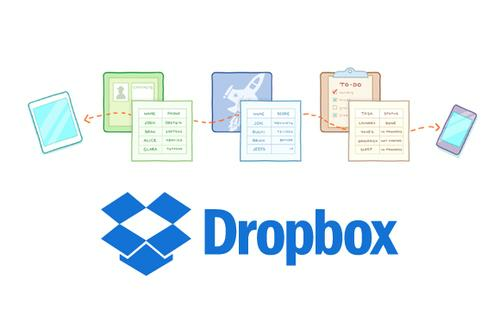 The image-preview features will roll out to all Dropbox users over the next few days, the company said.